The Nationalist Party is exactly where Labour want it to be: trailing so far behind they cannot even smell their sweat. MaltaToday’s monthly survey published today shows almost twice as many respondents would vote Labour rather than PN. Month on month the rate of respondents determined not to vote — 13% — remains stable. Those uncertain who to vote for almost doubled and now form a cohort of a fifth of respondents. PD and AD’s results remain negligible. The figures show that if the PN could keep its voters together it could quite possibly be enjoying an edge over Labour. But its vote is split in unequal threes. A large third support it, a small third can’t stand it and a middle third is not sure what to make of things. Consider those who voted PN in 2017. Responding today, 42% said they would not vote PN now. A few would go to Labour or PD. A big chunk says it would stay at home. A fifth is unsure. The explanation is simple. 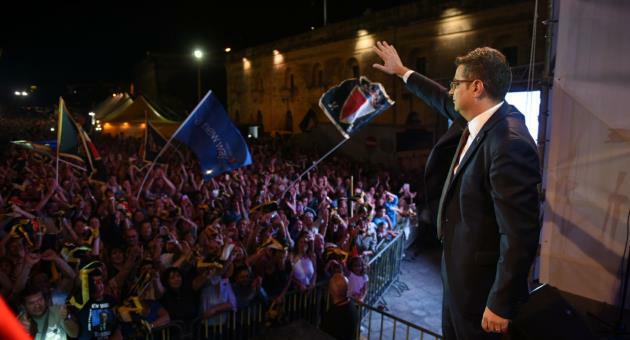 The PN has equated itself with its leader, Adrian Delia, and his miserable fortunes at the polls drag his party down with him. A majority of those who voted PN in 2017 do not trust Adrian Delia. 53% either trust Joseph Muscat more, or say they trust neither or can’t make up their mind. Not only does Adrian Delia haemorrhage PN voters like an open wound, almost no one who stayed away from the PN in 2017 say they trust him. He does not feature among 2017 PL voters and is a blip among respondents who did not vote in 2017 that are a statistically very small number anyway. There will be the usual rationalisation now. It’s a monthly affair. Whose fault is it then that the PN has lost influence in the political sphere, has withdrawn its ability to challenge the exclusive power of the Labour Party and has rendered this country a one-party-state? As if that is of any relevance. A political party is not a forensic pathologist. Explaining the cause of death is for academics and commenters. The job of a political party is to present itself as a viable democratic option for citizens. What will it take for the Nationalist Party to realise that a unanimous Soviet-style vote in the Executive Committee with any dissenters scared out of the room and the rest made to show their hands or face the same fate does not win it elections? What will it take for the PN to realise that not even the unanimous approval of all the people who voted PN in 2017 is enough for anything better than the last trouncing at the polls? And they can’t get even get half of them to confirm they support their choice of leader. What will it take for this political party to earn that name again?